Any serious Android modder will no doubt find themselves flashing and re-flashing their custom recovery, especially if they’re of the particularly picky persuasion like we are. Thankfully, flashing new recoveries isn’t that big a deal, at least it isn’t if you’re comfortable with the process and have a computer and suitable USB cable at hand. Unfortunately, that’s not always possible. 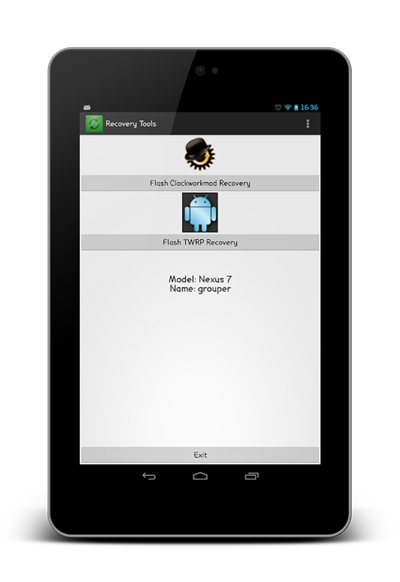 That’s why a new tool, developed by a forum goer over at XDA-Developers, makes flashing new Android recoveries as easy as humanly possible. What’s more important for us, is that it all happens on-device, with no need for a computer. That’s a win-win in our book! Called ‘Recovery Tools,’ the tool is available as a free download (from the link at the end of the end of this post) and is also open-source, meaning other developers can build on the hard work that has already been done. That hard work has us at a good starting point already though, with Recovery Tools able to download and install either ClockwordMod or TWRP for a range of devices. Simply have the tweak go off and download the recovery of your choice and it can do the rest on its own. By the time you’re done, you’ll have a new recovery flashed and you’ll be good to go. Obviously Recovery Tools isn’t a miracle worker though, so bear in mind that not all recoveries are available for all devices, so if it doesn’t exist then Recovery Tool can’t download and install it. Still, if you’ve got one of the more popular Android phones on the market, you should be good. 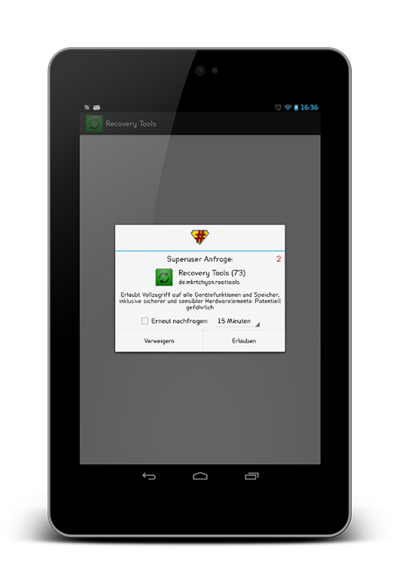 Recovery Tools is compatible with all rooted Android devices running Android 2.1 or later and can be downloaded for free from Google’s Play Store right now. What’s more, and unusual for Android apps of this ilk, Recovery Tools isn’t laden with all the usual horrid ads that we are accustomed to seeing, which gains the developer extra bonus points in our book. Anything that makes modding Android phones easier and safer is a good thing in our opinion, and Recovery Tools certainly falls into that category.